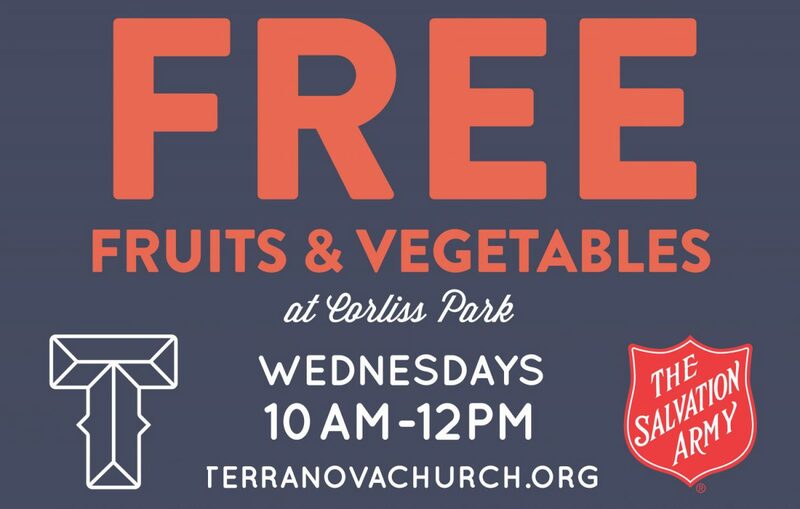 One of the ways that Terra Nova has been able to serve our city outside of church walls has been through the Produce Distribution at Corliss Park. Working together with the Troy Salvation Army, this vital ministry allows residents of the Corliss Park Apartments in North Troy to obtain FREE fresh produce once a week in a way that is close by, as many residents do not have reliable transportation. – Produce giveaway happens every Wednesday morning. – Volunteers are asked to serve once every-other month, but are welcome sign up and serve more often. – Team members arrive to the Community Center Office at Corliss Park at 9:45am to meet the Salvation Army delivery van. – Once delivery arrives, volunteers set up inside the Community Center (or outside if weather permits). – Usually, most folks come by to receive produce between 10:00-11:00am. – Volunteers are often done by 11:15am. If you would like to be part of this team or learn more about serving opportunities, please contact Pastor Bill Cuthbertson at bill@terranovachurch.org.